How do I turn the unit on or off? What do the LED indicators on the fast charger mean? How can I connect to D-Tap or P-Tap battery systems? What accessories ship with Atomos monitor-recorders? Can I hot swap batteries with the dual battery slots? What is battery priority mode? How long does it take to charge the batteries? 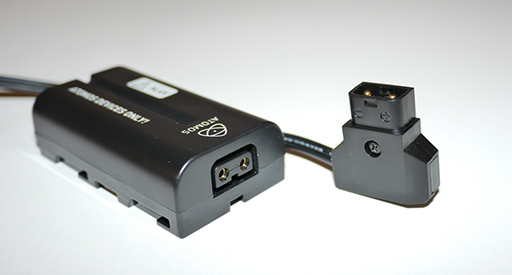 Among the many accessories included with Atomos products, one of the common inclusions is a method of connecting to D-Tap / P-Tap systems. For the Flame series and Inferno, a coiled cable with a D-Tap / P-Tap type connector on one end and a 2.1mm DC barrel on the other end is included. This is designed to allow you to power your device from an external battery system. To use this simply connect the D-Tap connector to your power source. Ensure that the output of the power source does not exceed 16.8V DC and ideally should be using either 12 or 14v. When the D-Tap cable is in use it will replace the DC input and override any attached batteries unless battery priority mode is activated. For the Ninja Blade, Ninja2 and Ninja Star (and optional accessory for Samurai Blade) a D-Tap battery adapter attaches to the battery slot allowing connection to D-Tap / P-Tap sources such as V-Lock battery systems. 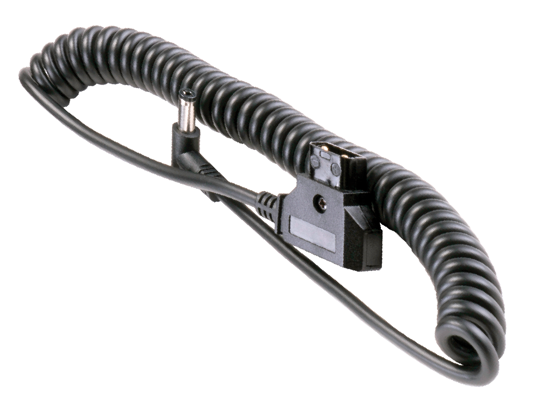 You will need a D-Tap to D-Tap cable (sold separately – refer image) and ensure voltages are between 7.2 to 16.8 volts. The Atomos D-Tap's electrical design is based around 14.4 volt battery systems in use by the professional video industry. Please note that the original Ninja CANNOT be used with the D-Tap power adaptor. How do I update AtomOS Firmware? What are the options for start/stop trigger recording?